So, I haven’t really watched him play at all, yet. But so far he says he’s really enjoying it, so I’ll take that as a good thing. 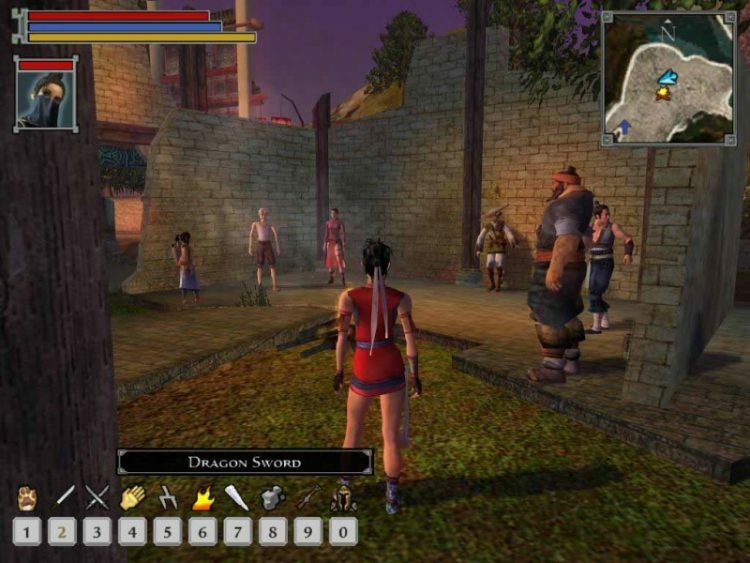 The game itself was rebuilt from the ground up with a new engine, new voice acting, and story tweaks. What I’ve seen looks amazing, and it in the over-the-shoulder style seen in the later games without the fixed camera angles. And so as we were talking I was asked what I’d games I’d like to see remastered. 1.My first thought: Jade Empire. A game that didn’t get the love it deserved but was, and is, amazing. To see that, from the environments to the supernatural elements, to even just the characters, in today’s graphics? Sign me up yesterday! The thing is, with the RE:2 remake, they redid all the voice cast. Now, the first couple of games get a lot of flak for their less than stellar voice acting, but that’s one thing from Jade Empire I’d definitely want to keep. The voice acting is excellent already, it doesn’t need changing, except maybe expanding. That is, you could open up the world more. I don’t necessarily mean a full open world, but there is so much potential with that setting I’d love to see more of. Can we get my girl Jen Zi some pants while we're at it? 2.Mortal Kombat: Deception. Not a favorite for most, but it’s one of mine. I loved the Konquest mode. Playing through the story, doing missions for people and other MK characters was a lot of fun. But oh, man, it could use a visual upgrade. As far as the voice cast and story goes, I’m not so attached to the voice cast that if it needed changing it would be a big issue. The core story is really good, but maybe fleshing things out more would be beneficial. Have the game really make you invest yourself in Shujinko and his story and how it plays out. 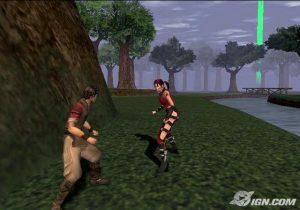 The fighting parts use that 3D arena that the games have since abandoned, but either fighting method is a lot of fun and like RE:2, I could see that being changed to the modern style. While we’re on the subject, Shaolin Monks. Fun game, but some of that writing and dialogue… oof. It’s baaad. 3.Max Payne. 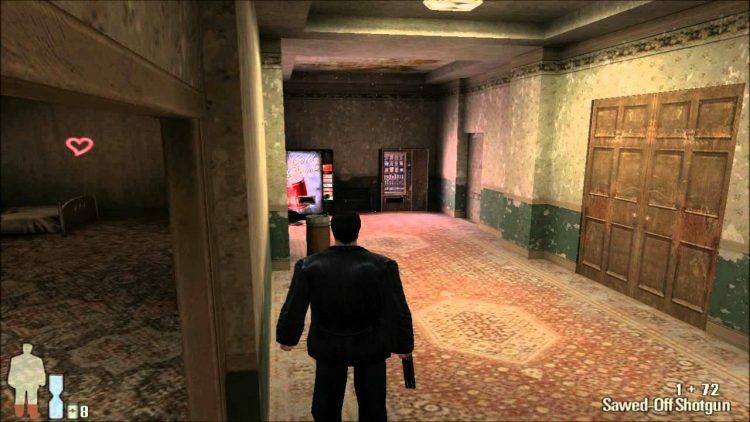 Okay, so here’s the thing with Max Payne, the only thing that needs updating for this is the in-game graphics. I would only be behind a remake of this as long as the comic-noir cutscenes were left intact. They add so much atmosphere and so much of the vibe of the game that you couldn’t change them. The in-game though, could stand a little tweaking. And could you imagine dialogue options? Because I can, and it would be sweet. 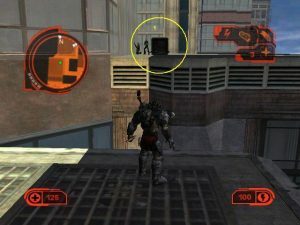 4.Predator: Concrete Jungle. A game that was not well received but was a lot of fun, this one could benefit from not only a graphics upgrade, but an overall story tweak. There is a great story in there, we just need to make it shine. Game controls were another complaint, but if you make it play like an Arkham game or the way Assassin’s Creed: Odyssey has been so far, I think you have a winner. Combat, stealth and stealth-kills, it’s perfect for the Predator. You could even go the RPG route and specialize in brute combat or stealthy combat. There’s so much potential. And we gotta do something about the HUD. So ugly. 5.Body Harvest. This is a game we had back in the day that my sister played more than me (since I was spending an inordinate amount of time playing Ocarina of Time). But the story is really cool. Alien invasions to ‘harvest’ humans and time travel? What’s not to love? But even back in the day it didn’t live up graphically to the abilities of the N64. So let’s retool that and get the awesome sci-fi game out of it that it deserves to be. Because I remember it being a really cool premise, but looking into it, it only got ‘average’ reviews. Again, there is so much potential in this to really make something standout. 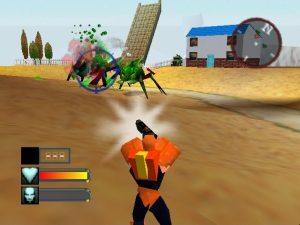 This one, of all of them, would be my choice for a full, from-the-ground-up remake. Take that premise and make the game it could be and it would be great. So there’s my list. There were some obvious one that perhaps weren’t on here, but for reasons. Dragon Age: Origins I think looks just fine, and in fact I prefer the Darkspawn design from that one compared to the others. Legend of Zelda: Ocarina of Time is perfect as it is and needs to alteration. But these five I think could really bring out the excellent games they are (or could be). And I will never not vouch for Jade Empire. It’s really that good. 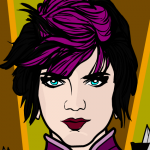 This entry was posted in Movies and TV and tagged 2019, gaming, geek, video games. Bookmark the permalink.